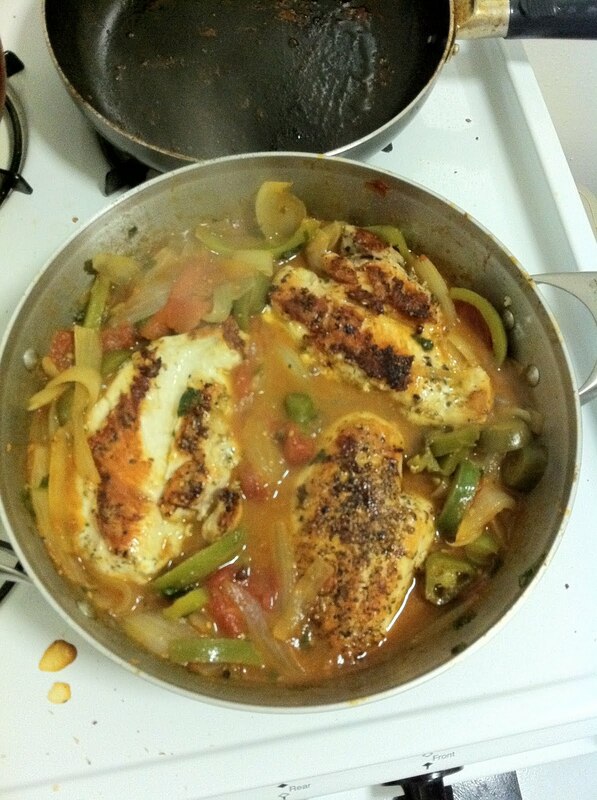 This was a somewhat impromptu recipe. 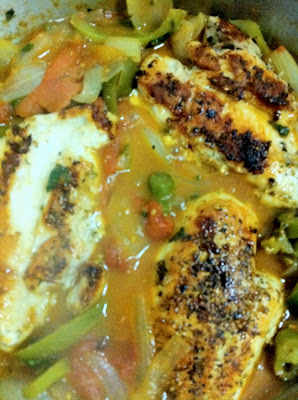 I had it in my head all afternoon to make a chicken dish with a rich onion and pepper smother. It came out tender, juice, and delicious. Season the chicken with salt, pepper, and coriander. Brown the chicken breasts on both sides (approximately six minutes per sie). Meanwhile, add the peppers, onion, tomatoes (with juice), cilantro, and salt and pepper to a saucepan on high heat with shimmering oil in it. 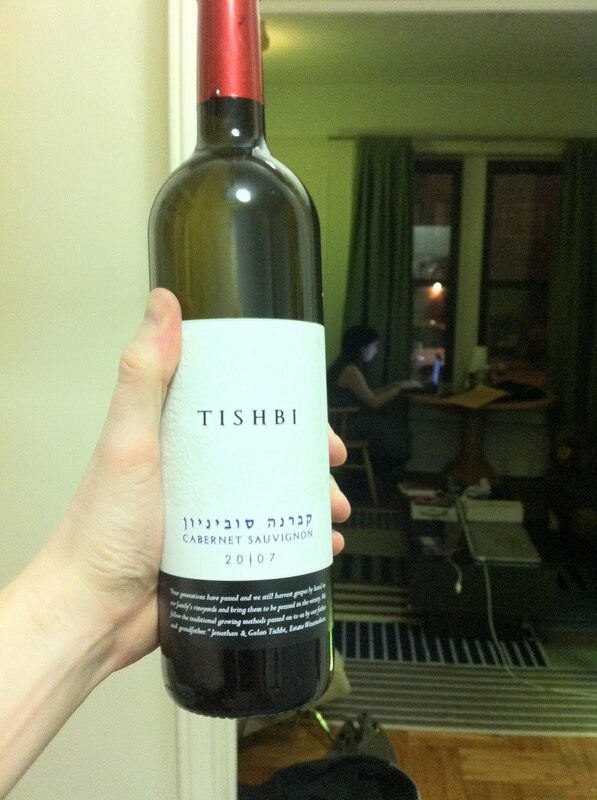 Pause to drink some leftover kosher wine from Passover. Tishbi has quickly become a favoured brand of mine. 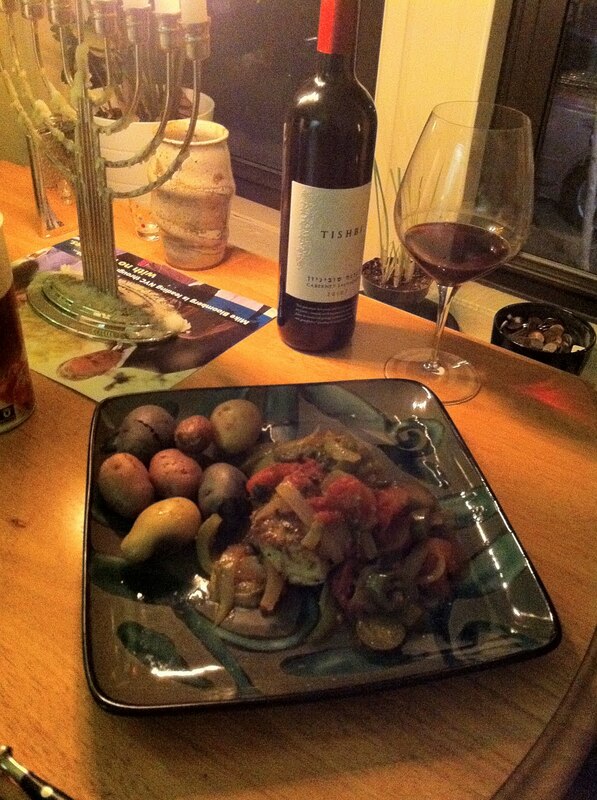 I love red wines with a bit of a peppery flavour, and this was no disappointment. When the chicken has done cooking, add to the saucepan. 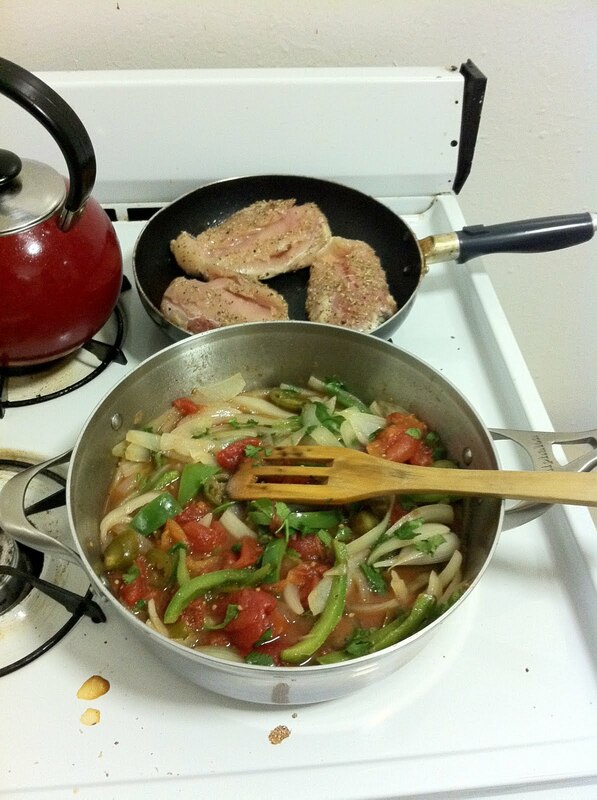 Reduce heat to medium and continue cooking for 10 - 15 minutes until desired tenderness is reached. Get a close up picture of the chicken cooking for your blog. Serve next to a menorah for light and mixed fingerling potatoes (boiled) for your side dish. Your soundtrack for this entry: The Epoxies - Molded Plastic.